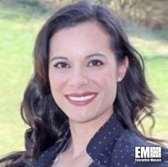 Jennifer Hoover, formerly deputy director for the Department of Homeland Security‘s venture and innovation office, has joined Array Information Technology as senior director for digital strategy and innovation. Array said Tuesday Hoover brings eight years of federal service experience in the project management, digital transformation, DevSecOps, IT modernization and agile development areas to her new position. She has participated in several panel discussions about DevSecOps and government digital efforts, as well as delivered keynote speeches at the U.S. Secret Service’s first CIO Innovation Summit and Red Hat’s DevNationFederal forum. Greenbelt, Md.-based Array offers IT services to the government sector and holds ISO and CMMI certifications for quality management.